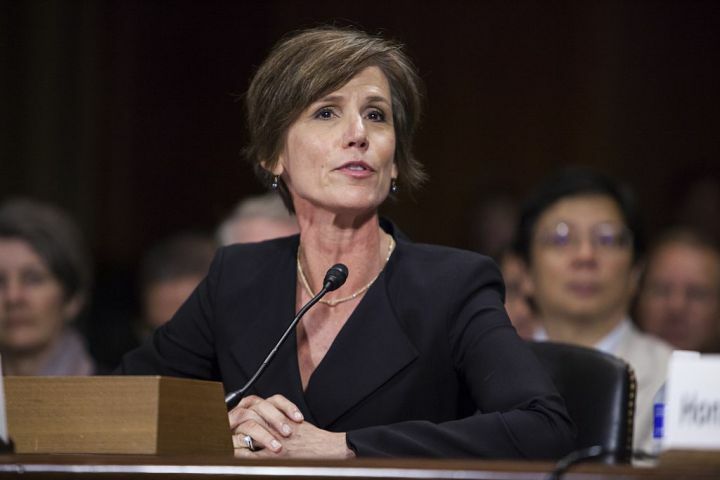 Update 5 p.m. PST: Yates Testified That She Told The WH That Flynn Could Be Compromised. It took 18 days - and a breaking news story - for Trump to finally ask for Flynn's resignation. It turns out that President Obama even warned Trump about Flynn. Up to now, the Senate's Investigation has been mostly non-partisan, but some Republicans decided to discredit the messenger in a partisan attack this time. 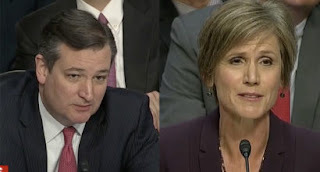 Lying Ted Cruz tried to grandstand for his master by asking some really partisan questions. At one point Yates corrected him, which brought smiles to a number of senators. A few other Republicans did their best to divert the investigation with partisan trivia. One thing that did come out of today's meeting: there's a real need for an independent investigation because Trump loyalists are doing their best to sabotage the proceedings. The only thing the Senate committee did was confirm that the Russian's did interfere with our election. Something the entire intelligence community has known for over a year. I wouldn't expect more to come from this group.